You'll see two tips right off the bat: pick two to three colors, and then dress in textures and not patterns! If you do use patterns, keep it simple because different patterns in a photo will also be busy, and there is already a pattern in the leaves around you. Patterns (unless subtle) and clashes of colors take the eye away from the subject's face. 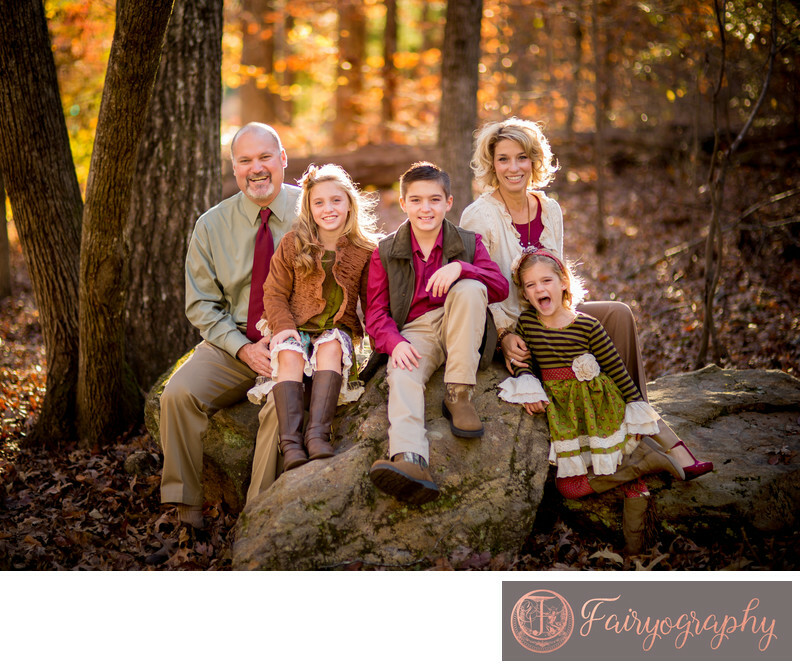 You want these family photos to be about YOU, not your closets. Color combinations that tend to look great outside in the fall leaves are: blue and brown and cream, plum and grey, mustard and grey, mustard and brown and olive.. etc. You want to be sure everyone in the photos is wearing all the colors in some way, otherwise it just looks like you picked up some random person on the road and invited them to family picture day. Keywords: Botanical Garden (117). 1/250; f/1.4; ISO 100; 85.0 mm.